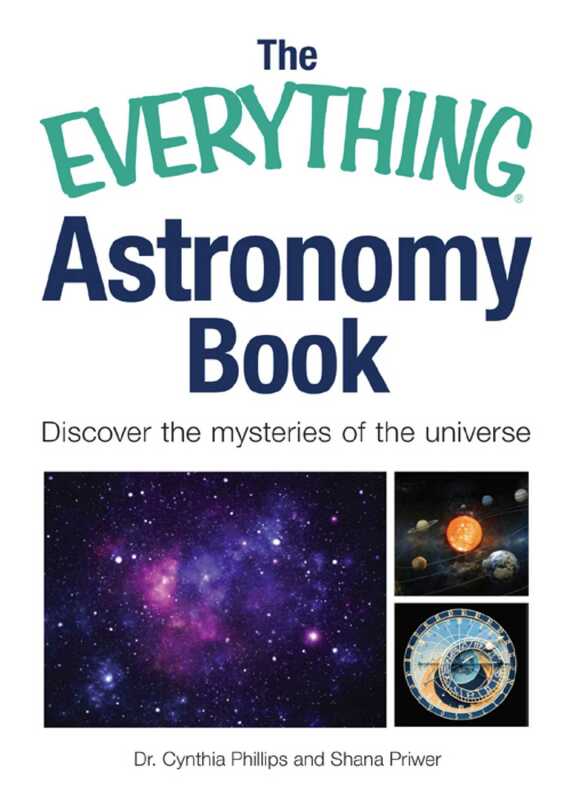 The Everything Astronomy Book, by noted SETI Institute scientist Dr. Cynthia Phillips, helps you stargaze with authority. The book not only provides clear descriptions of all the theories of the origins of the universe, it explains the facts about the planets, moons, and stars in language anyone can understand-completely free of the usual astro-jargon. In addition, common myths are debunked: Find out why the Big Dipper is not an actual constellation, and that a shooting star isn’t really a star at all! Shana Priwer has an undergraduate degree from Columbia University in architecture with minors in math and art history. She earned her master’s degree in architecture from Harvard University and currently works with a software company in San Francisco. As a technical writer, she has collaborated with Cynthia Phillips on a variety of projects. She is the coauthor of 101 Things You Didn’t Know About Einstein.